Hello and welcome to ESPN's live coverage of third and final practice from Sakhir ahead of qualifying for the Bahrain Grand Prix. This is another rather unrepresentative session for the drivers as it's an early session in the heat, wheras qualifying and the race take place in the evening under lights. @LYNGGAARD: A bit windy, but nothing out of the ordinary. Certainly the rumoured sandstorms haven't materialised so far. 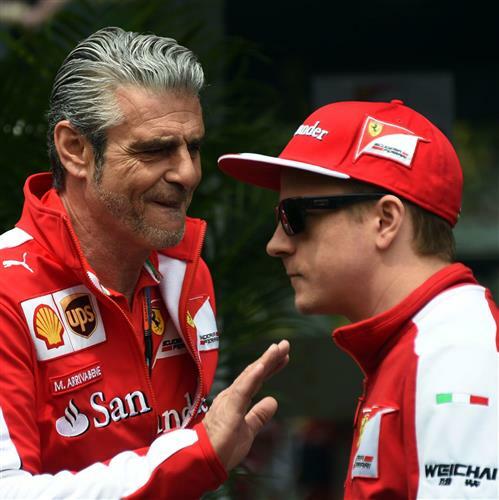 ESPN UKMaurizio Arrivabene has told Kimi Raikkonen he must perform if he is to stay at Ferrari next year. I want to make up for yesterday @jensonbutton. I'll give it my all. Good to see Eric is feeling well enough to tweet this morning. Eric, for those who don't know, is the official account of Jenson Button's power unit. Just the hour for this session, remember. I think Mark is saying what a lot of people think; particularly media. For me, doing the best job inside the rules in effect is what it's about. Tyres aren't an non-existant factor in that. why cant F1 mandate two pit stops? 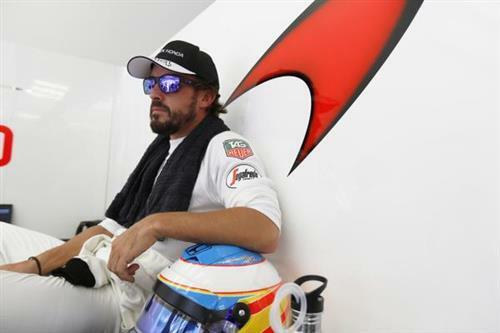 @krishna: Strategy is part of what makes F1 interesting, the ability for some teams to do fewer stops than others. Forcing them to do two would nullify that slightly. Likely teams will be chasing different data in this session, with the higher temperatures limiting the amount of relevant data they can gather. The track is green and the two Ferraris are the first men out on track. The season has only just begun and already we are discussing signing drivers? Is it not a little premature , I do believe. @LYNGGAARD: Only because Raikkonen's contract is currently news. @Bjorn: The problem is, F1 needs a tyre supplier which makes tyres which degrades quickly - like the current Pirellis. A company like Bridgestone has little interest in entering on those terms. Do Kimi have a performance clause for Ferrari contract or it is only the vice versa? @rockedin123: There is an 'option' on his contract but it seems that option is triggered by Ferrari. Early installation laps being completed. Good sign for McLaren as Button is one of the early drivers out on track. Seeing a replay of Button having a big, big lock-up through the middle sector. Some interesting chatter in the paddock today about Vettel not getting a penalty for what looked like a an unsafe release in FP2, as his wheel may not have been attached properly before his incident with Perez. @Houstontifosi: I think Hamilton has proved he's much better at tyre management than people thought. Button complaining he has very little rear grip. Per the poll, Ferrari should put in whomever Seb wants as a #2. @ShreyKundra: Hamilton suggested to Sky Sports yesterday that Vettel and Alonso have number one driver clauses in their contracts. Nasr goes to the top of the timing screen with a :38.095. Longer stints for reliability the focus this session? @Praveen: Yes, Mercedes seemed to be focusing solely on race trim in Fp1 yesterday. Marciello has the required 40 points, has the required lappage to qualify to race, id say give Lello the seat next to vettel next season. last thing Vettel needs is Riccardo coming along and taking the plaudits off Vettel. In all the silly season talk, everyone seems to have forgotten Kevin Magnussen. I'm sure he'd be glad to escape the clutches of Ron Dennis. Ericsson can't topple his team-mate from the top of the timing screen, and can only manage third behind Button. Vettel is friends with Kimi and is no threat to him within the team so he'll stay. I need to find some grip here. Tyres, you want to help out?